Budtenders are marijuana dispensary product specialists. They are a walking cannabis dictionary. Full of knowledge about strains, cannabinoids, terpenes, industry trends, and all the wonderful ways to consume cannabis. The business of bud is booming, with the marijuana market up by 30%. This means every marijuana dispensary needs passionate and skilled people to join their staff. What does the marijuana dispensary role entail? It’s about interacting with people, a passion for the cannabis plant, and a vast range of cannabis product knowledge. Interested? Of course, you are. So, here’s everything you need to know on how to become a budtender. It’s the number one factor for how to get a job at a dispensary. The more you know, the more valuable you will be to the marijuana dispensary and its customers. The best budtenders think like a medical marijuana pharmacist would. They know the best cannabis products for different conditions and symptom relief. They are ready to provide recommendations, for ailments ranging from period cramps to insomnia to body aches and pains. Budtenders can listen to the needs of their customers and/or patients and suggest a cannabis product that will meet all their expectations. They should be able to help newbies find their preferred consumption method as well. It also helps to have some retail experience. Learn to work a cash register and credit card machine and learn to work with customers. Working as a receptionist at a marijuana dispensary is a great learning experience. It can further prepare you for your future promotion to budtender. New strains and cannabis products are always emerging, it’s your job to stay on top of them. You should be full of insider knowledge of new brands, strains, and marijuana products. One way to do this is to read as many industry magazines, online articles, and blogs as you can. Talk to experts within the cannabis community. Learn the ins and outs of growing, extracting, and consuming cannabis. Actual marketing and advertising of cannabis are not quite legal in every state, yet you can find ways around it. Pay attention to social media and what the influencers are saying. When searching for how to work at a dispensary, stay up to date on medical and legal news. It’s important for any budtender to know new rules and regulations in their state. Also, watch for news on upcoming cannabis markets. The budtender is the face of the dispensary. This means they should exude excellent customer service skills. It’s the key to your success and can help land you that job. There’s a difference between how to be a budtender and how to be a rockstar budtender. It’s all about connecting with customers on a personal level. You’re not only selling marijuana. You’re sharing your own personal experiences with the dispensary’s products. Share first-hand knowledge if you have legally tried the product, or success stories of other’s using this or similar products. Make sure to answer all questions, and even try make them laugh, to make it an enjoyable experience. A budtender helps others pick the perfect marijuana products for their lifestyle and needs. Listen to the needs of the customers and establish trust. Don’t push products that will not give them the experience they are after. You’ll need to be honest and open when recommending products. It’s all about establishing and maintaining a good reputation for yourself and the dispensary. This keeps customers loyal and helps with brand and budtender recognition. A talented budtender will cultivate customer relationships and keep them coming back for more. Start by making a list of dispensaries you want to work for. 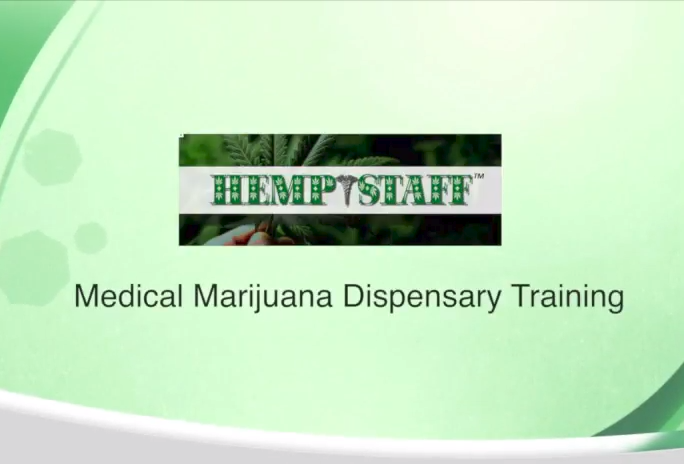 HempStaff covers this in their Dispensary Training course, as there are many ways to get in front of the hiring managers. It can range from directly applying directly to a dispensary from a job post you saw to looking at the top cannabis career job boards to applying with a recruiting agency, like HempStaff. When preparing for an interview, be sure to study the dispensary’s products, if possible. You’ll also want to brush up on the company ethos. Their website will be a great source of information. Before the interview at a marijuana dispensary, you should be an expert on all their products. Show them you are the most qualified and knowledgeable marijuana dispensary agent the job. Don’t forget your budtender resume. You should have this on hand, as you would for any other job. List past experience as well as relatable licenses or certifications. You should also include any extra skill sets that could come in handy on the job. Retail, Customer Service and Medical Experience skills are always appreciated by cannabis businesses. Some employers will only hire budtenders that get backed by certifications. Do online research into budtender training programs. They can add to your expertise and set you apart from competing candidates. Be sure to mention your previous customer service or cannabis-related experience. These jobs are in high demand, so you’ll want to sell yourself as best as possible. If your experience level is not quite ready for learning how to work in a dispensary, be open-minded. Show your desire and commitment to work by first becoming receptionist or delivery driver to gain some experience. Now that you know how to become a budtender in a marijuana dispensary, you’re ready for your career in cannabis. If you’re looking to set yourself apart in a competitive market, consider reaching out to a cannabis recruiter. The most talented fortune 500 companies use them, as do many cannabis dispensaries. They help dispensaries to find the best people in the business to add to their staff. After you land that job, remember to stay up to date on all trends in the marijuana industry. This will only help you ensure the best possible experience for all your customers.